The a-n Degree Shows Guide 2018 has just been published alongside a new digital resource. 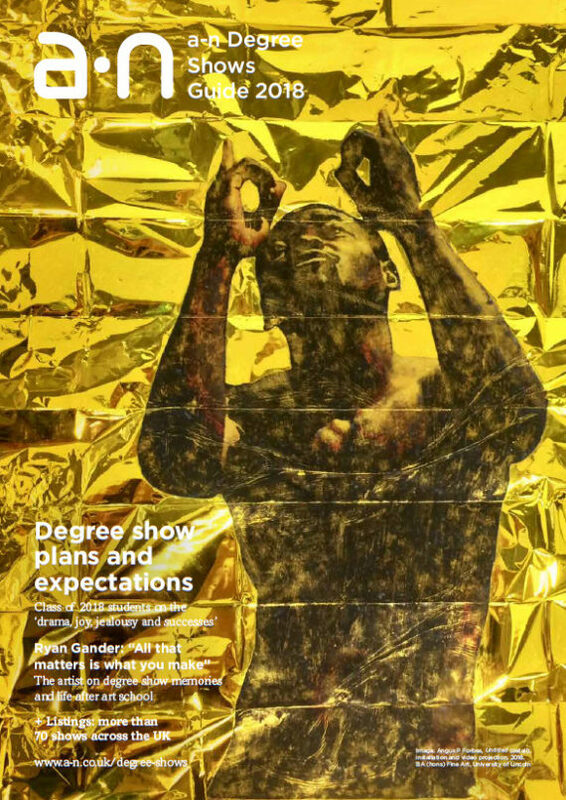 The annual guide captures the buzz and excitement around degrees season with a wide range of content, listings and adverts for shows across the UK. New for this year, a-n.co.uk/degree-shows will cover the shows as they open and includes an interactive map to help you find a show near you, alongside news, views, longer reads and as the season progresses new graduate resources. The 44-page guide includes an interview with conceptual artist Ryan Gander who talks candidly about his time studying at Manchester Metropolitan University. Gander shares his views on art education today and what students should aim to get out of their degree show, while in ‘Class of 2018’, current final-year students give an honest assessment of their experiences, working processes and hopes for their degree shows. New graduate resources. These will be added as degree season progresses and our focus shifts to supporting graduating students to sustain practice and explore options after study. a-n Degree Shows Guide 2018 is available on a-n.co.uk/degree-shows alongside more news, views and pictures from this year’s shows. You can view on Issuu here or join the conversation on social media using the hashtag #andegrees18. We’re offering a-n members around the UK a chance to take over the a-n Instagram to promote this summer’s degree shows. See jobs and opps for full details. Deadline for applications: midday 11 May 2018. Not yet a member? Sign up at www.a-n.co.uk to take part. 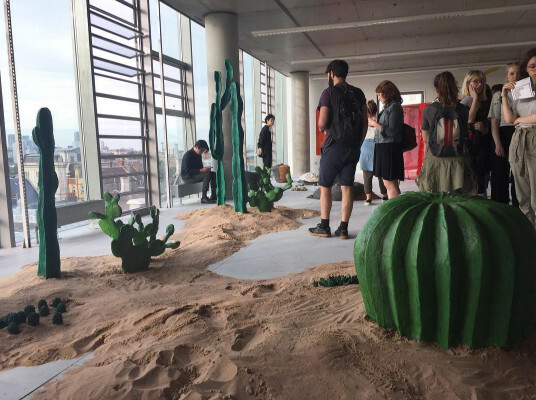 And you can catch up with our 2017 Degree Shows takeovers here.